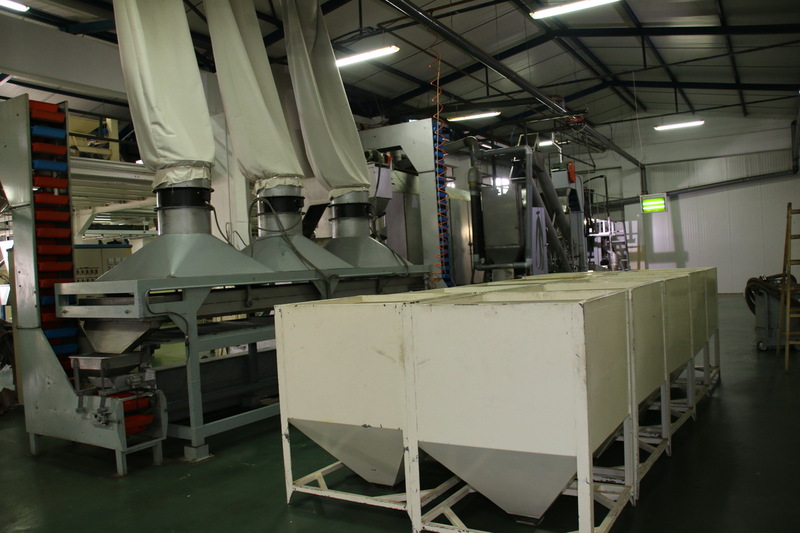 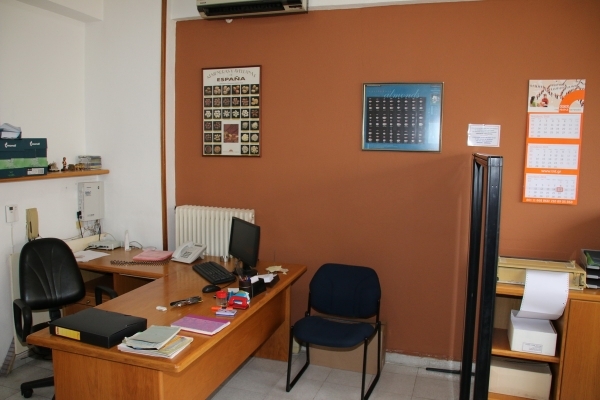 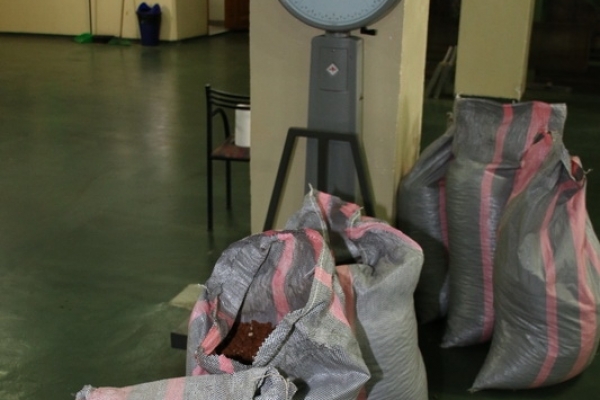 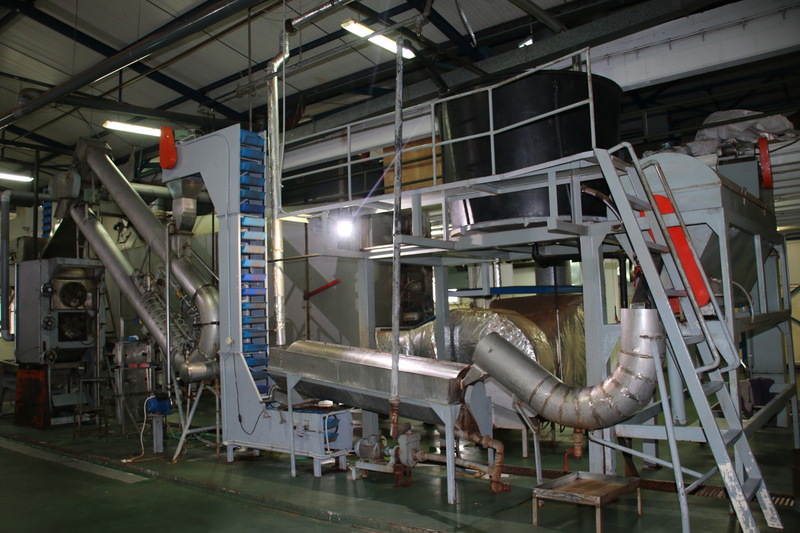 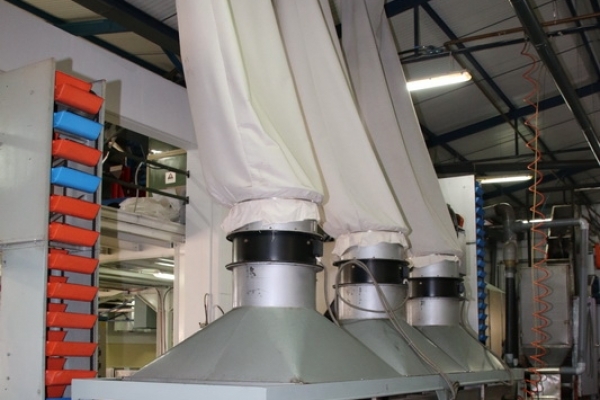 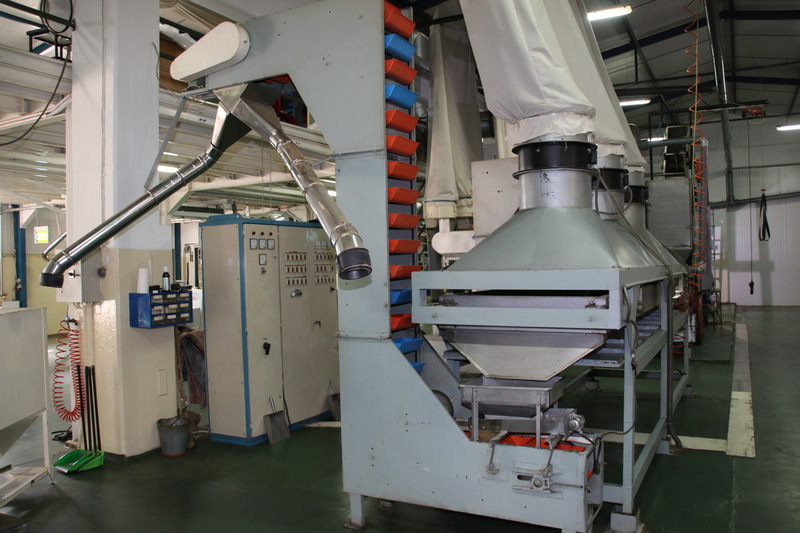 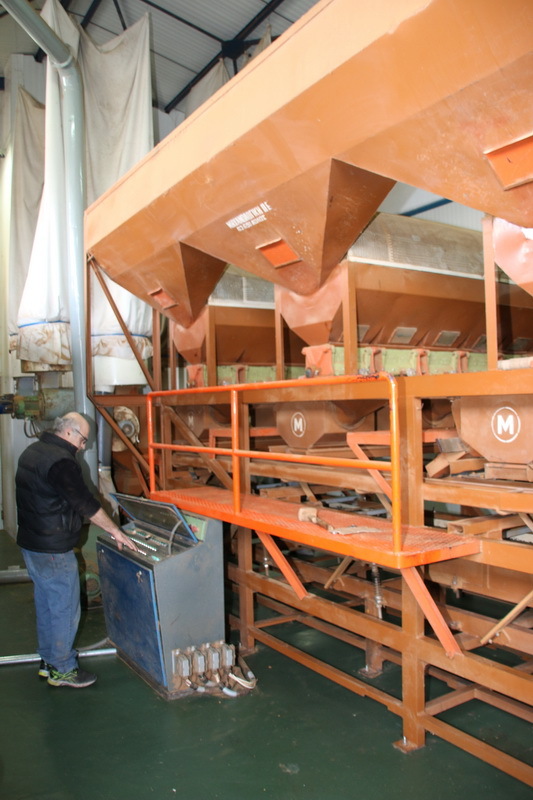 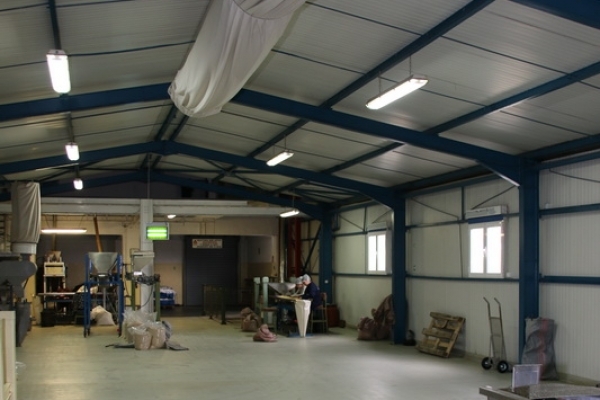 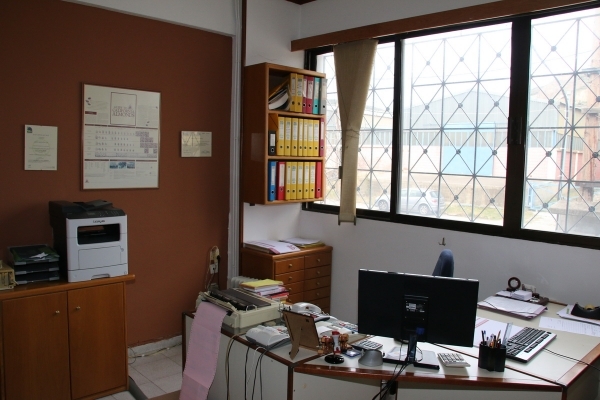 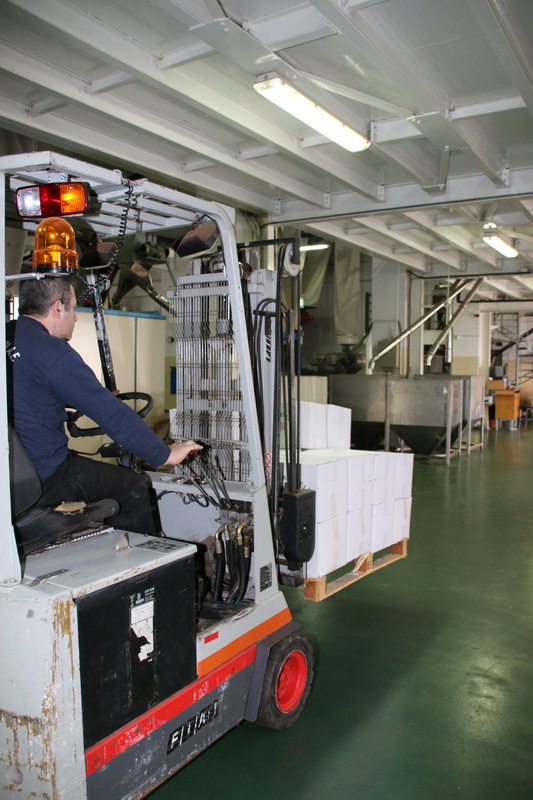 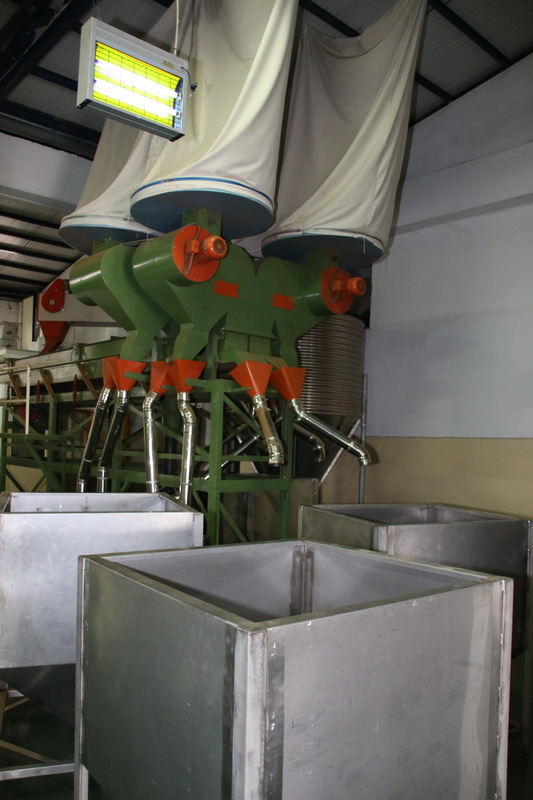 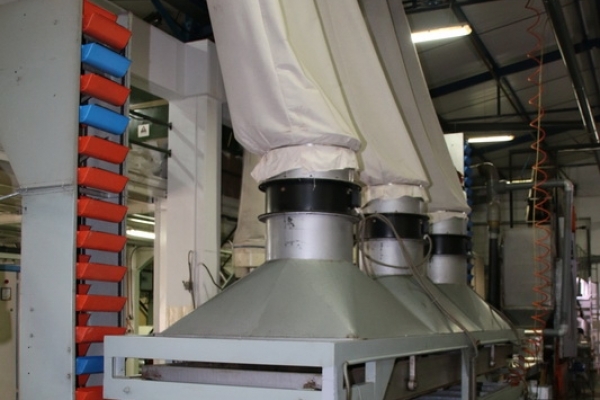 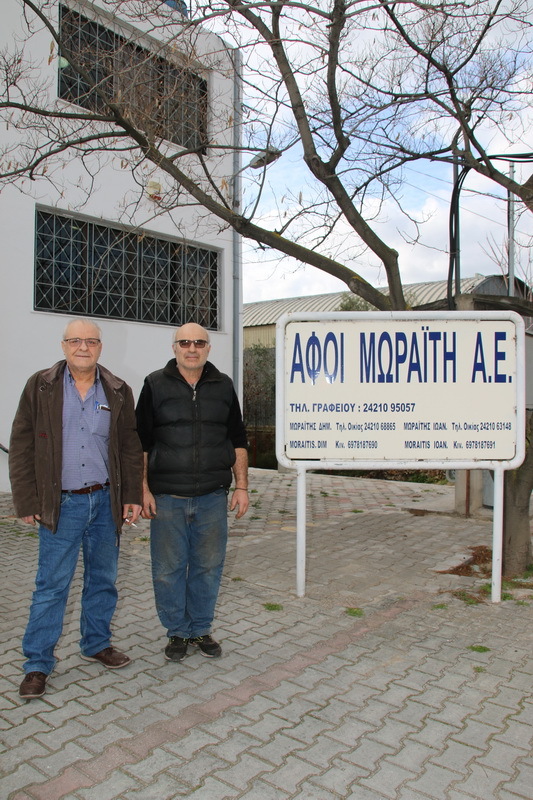 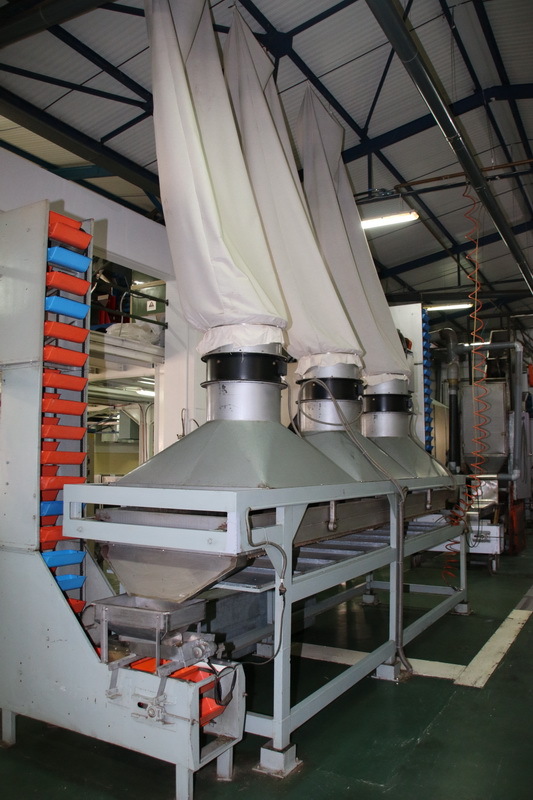 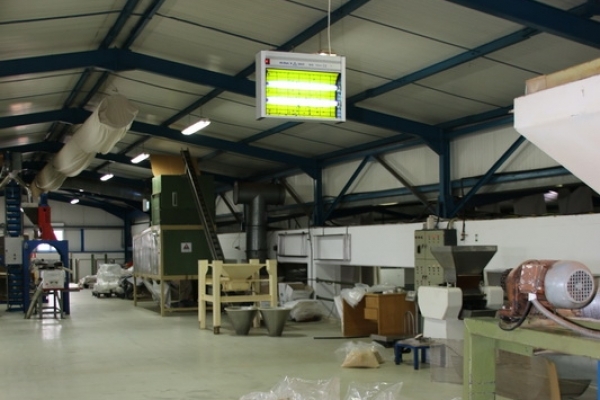 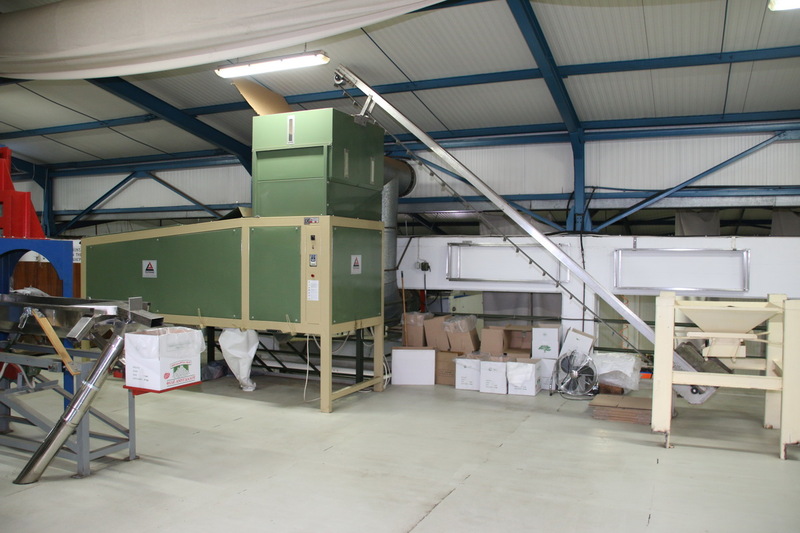 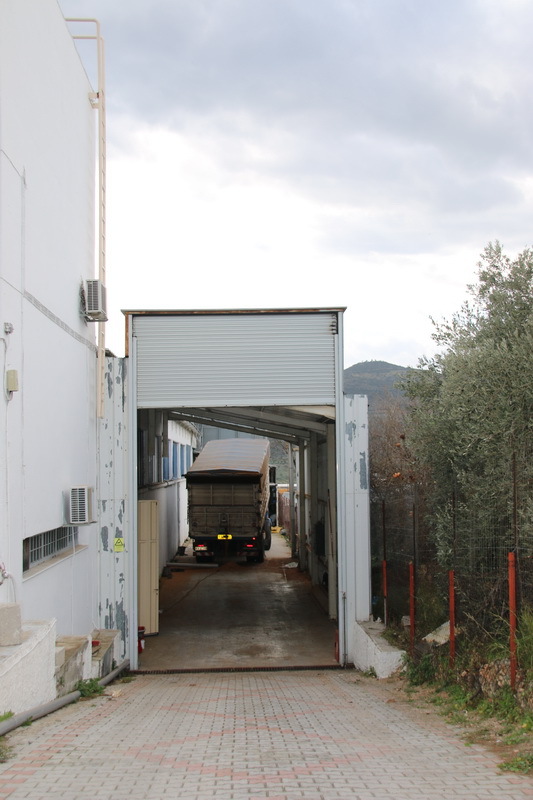 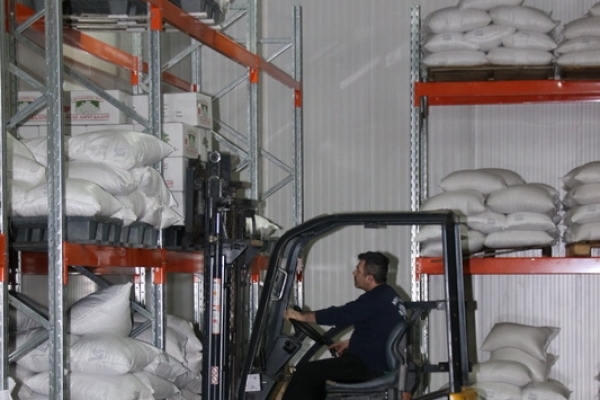 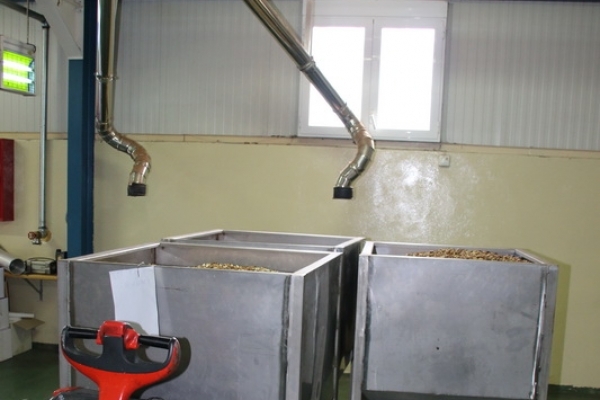 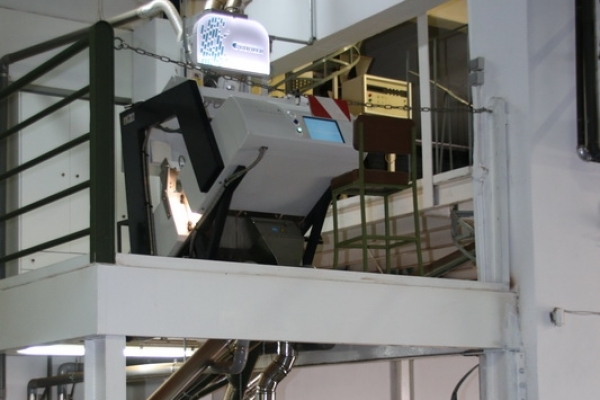 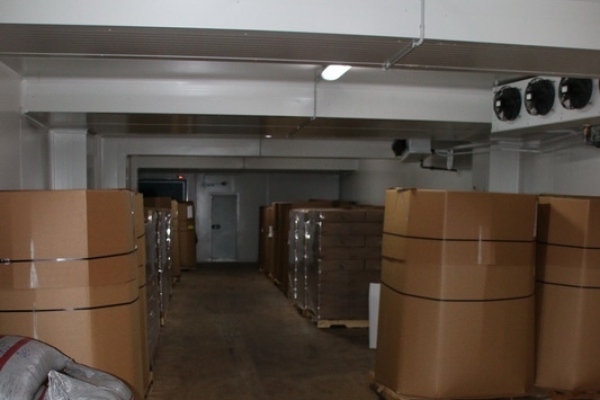 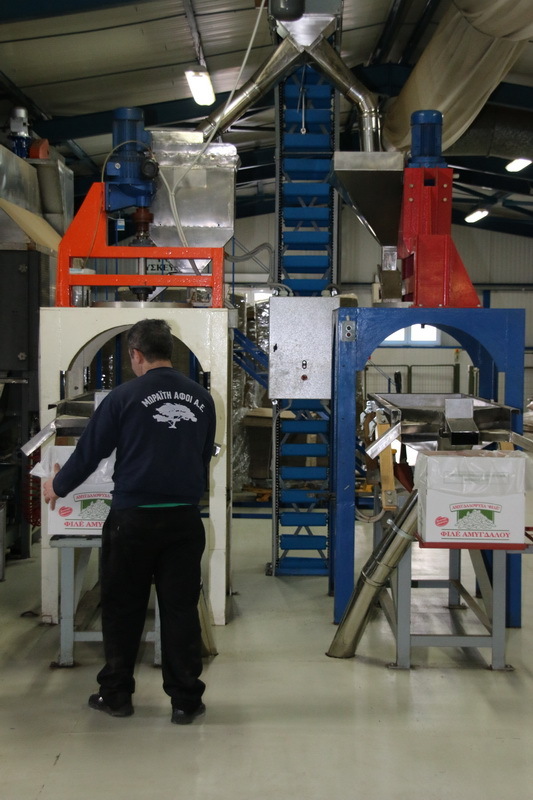 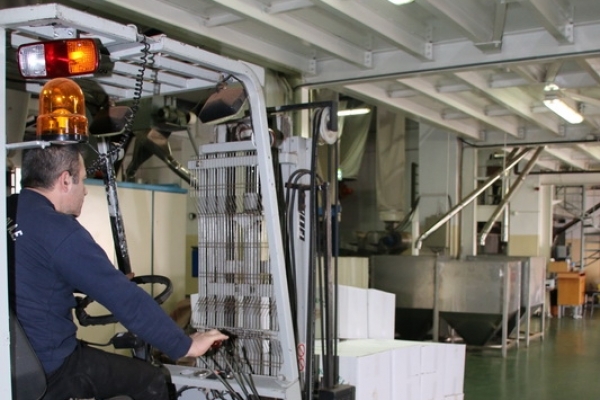 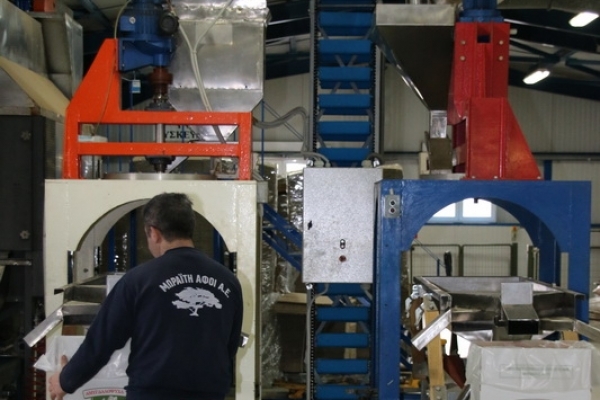 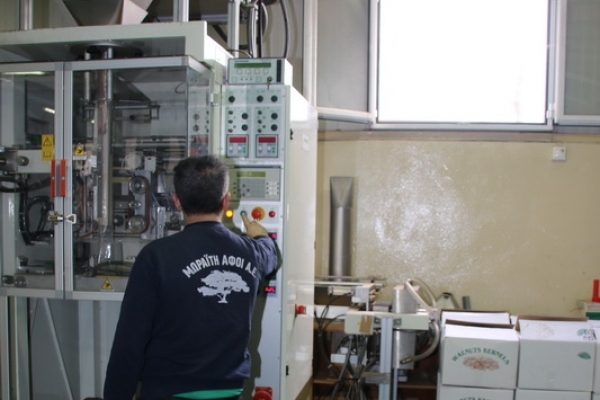 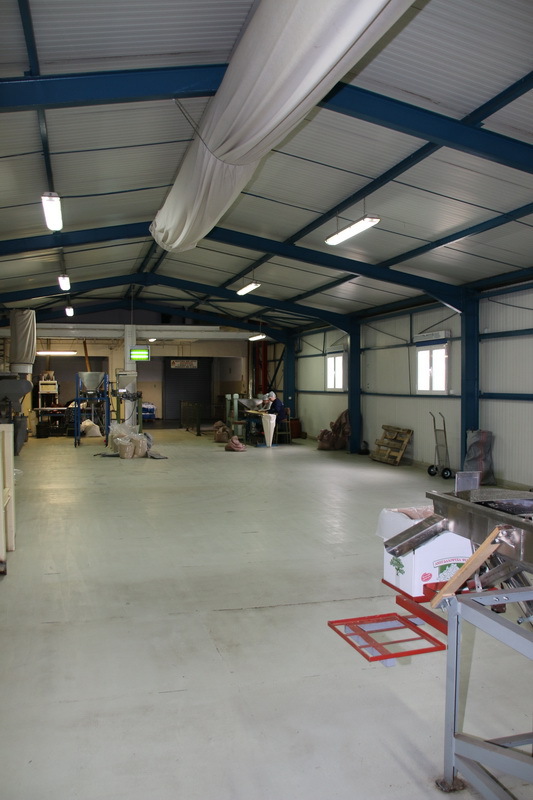 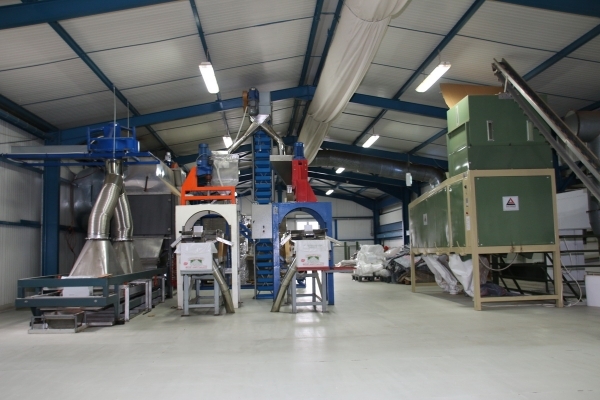 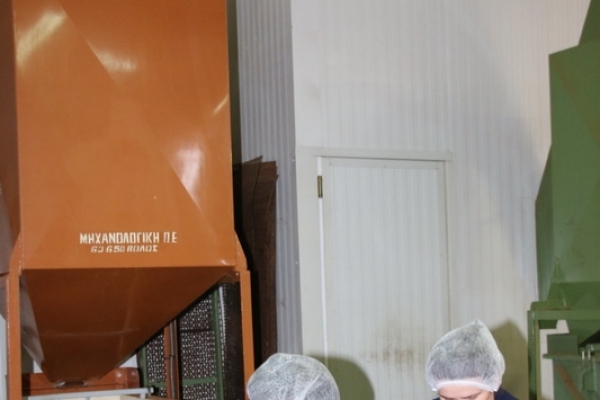 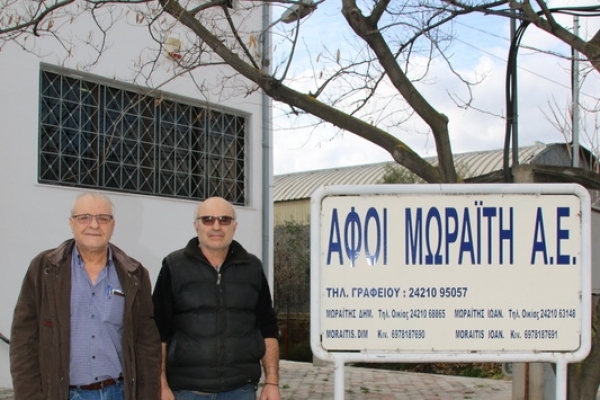 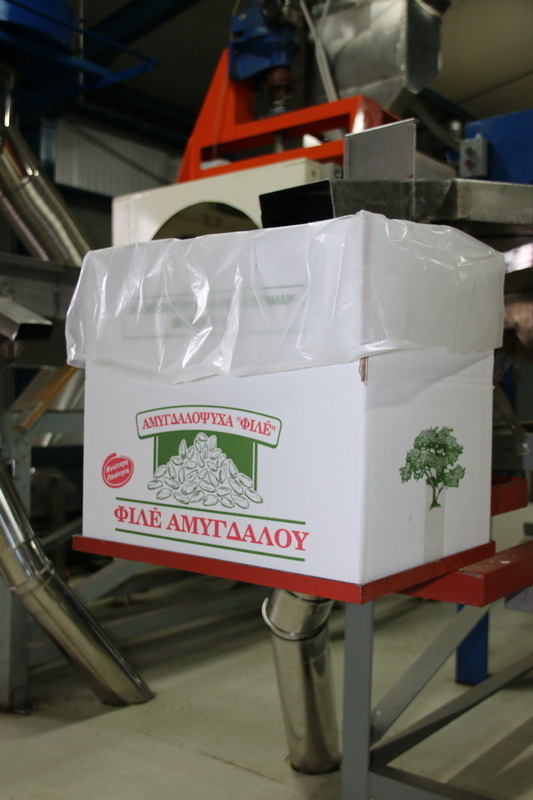 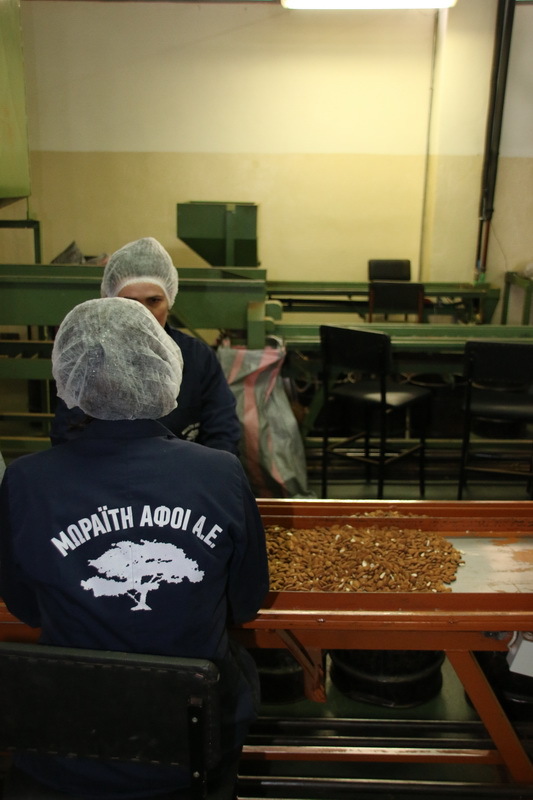 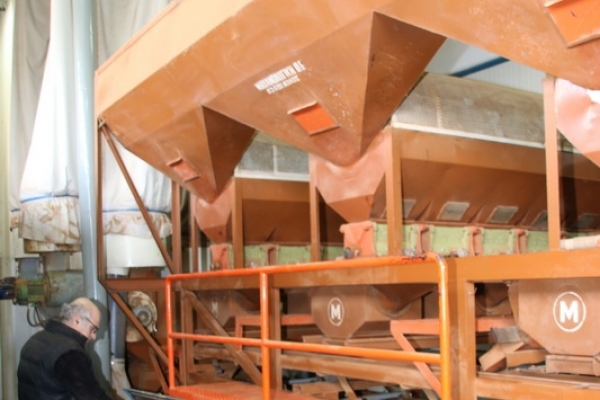 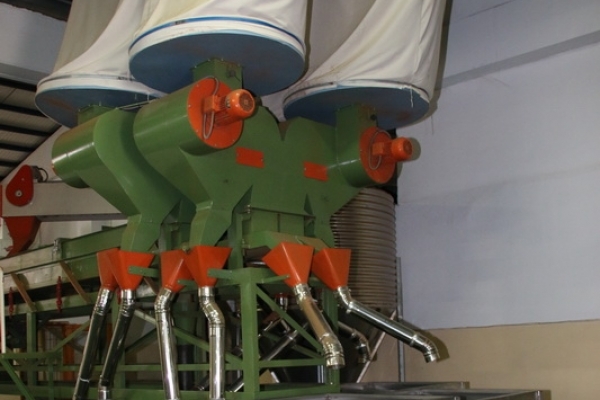 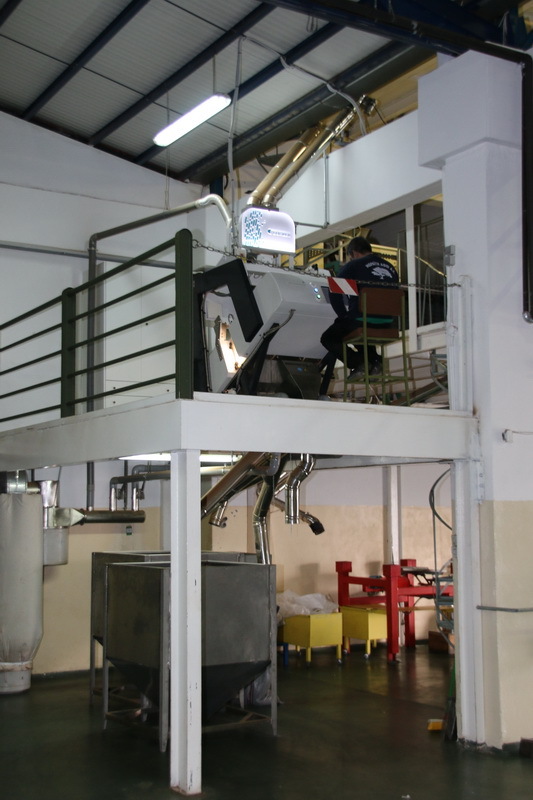 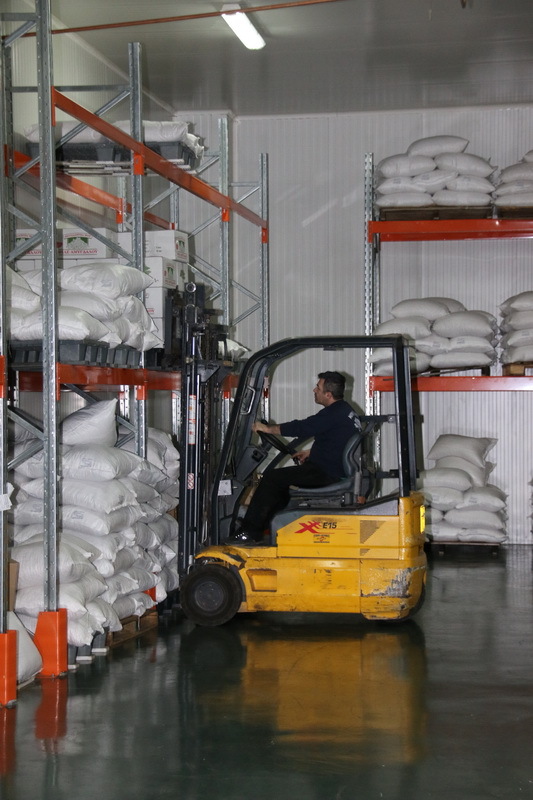 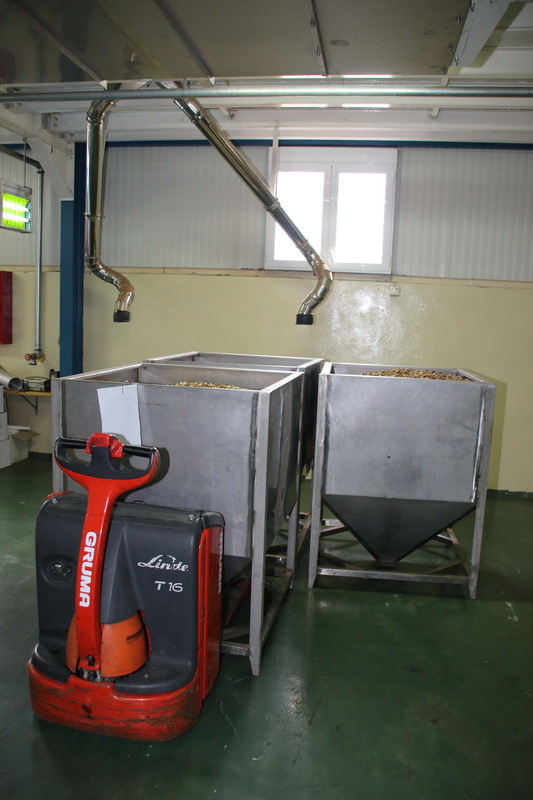 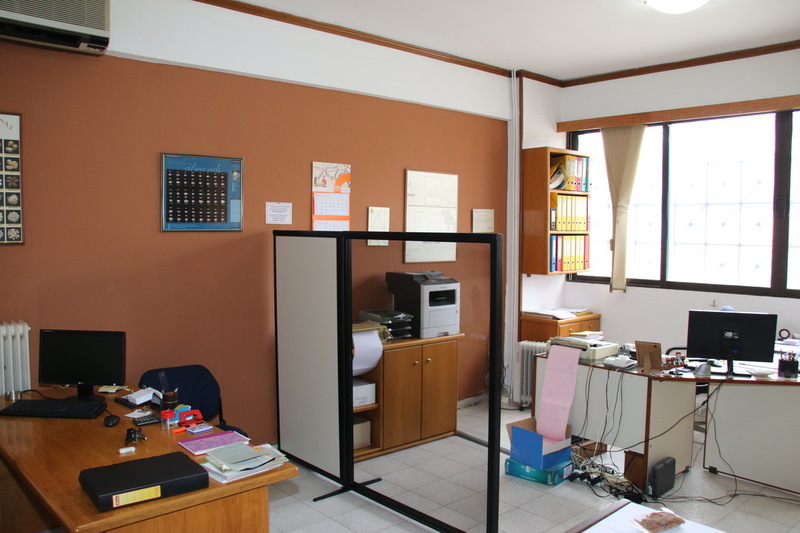 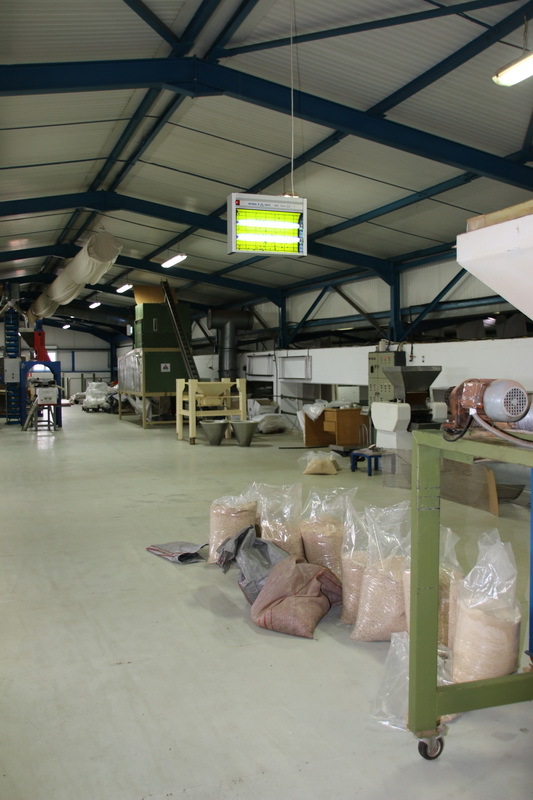 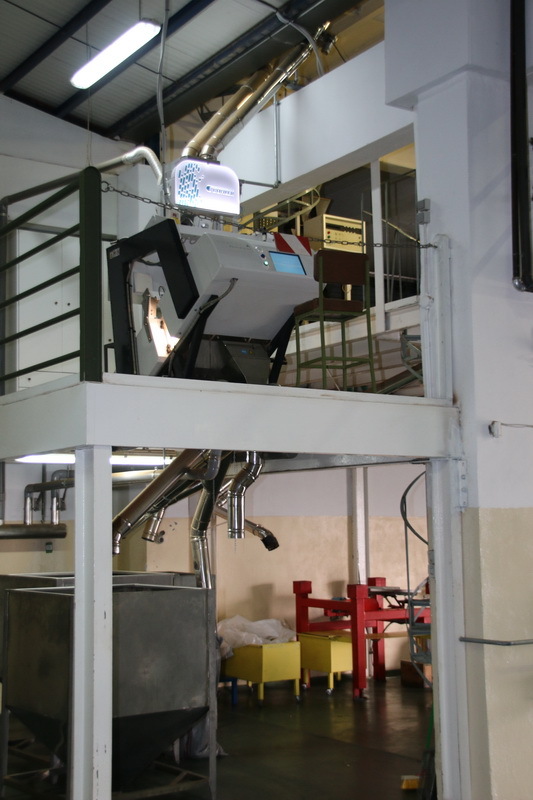 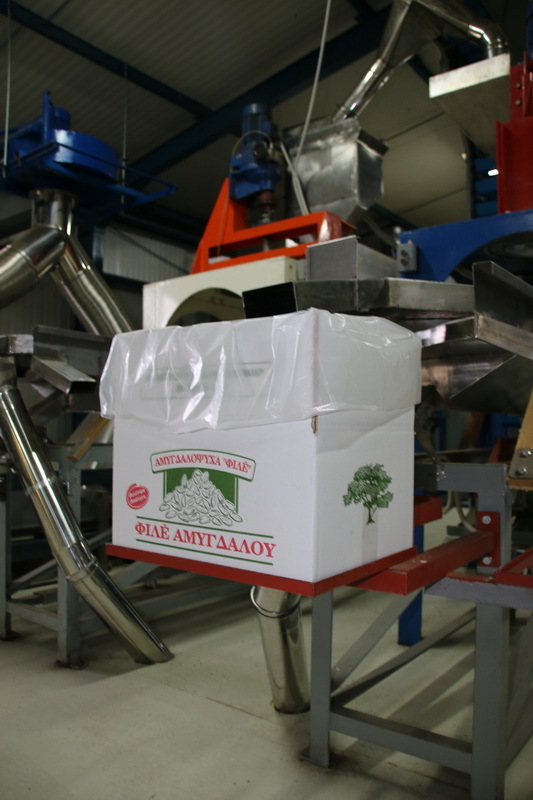 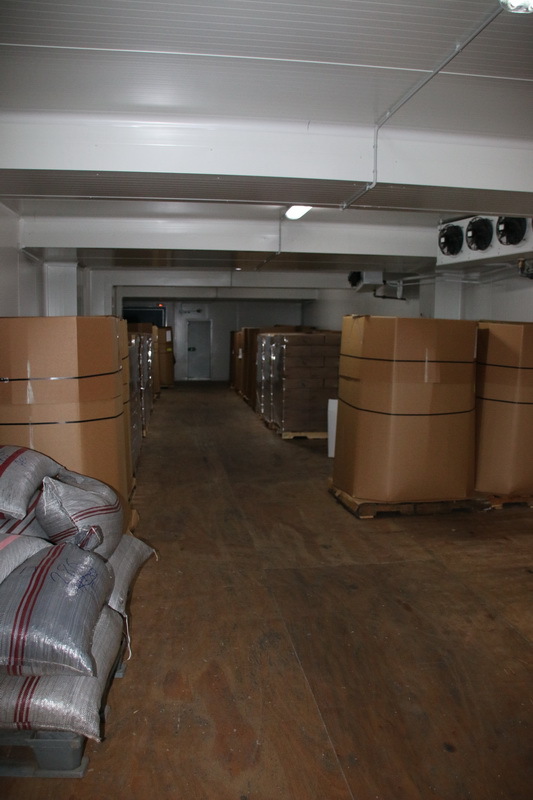 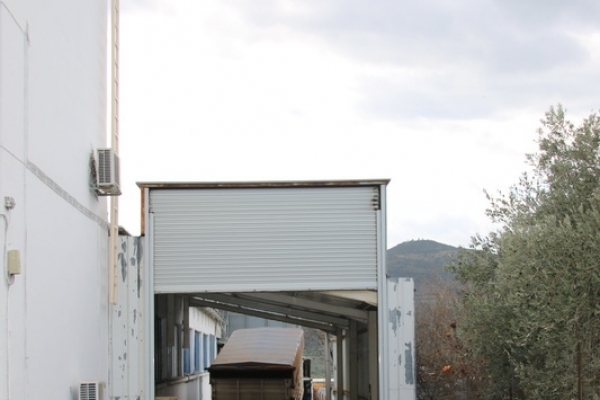 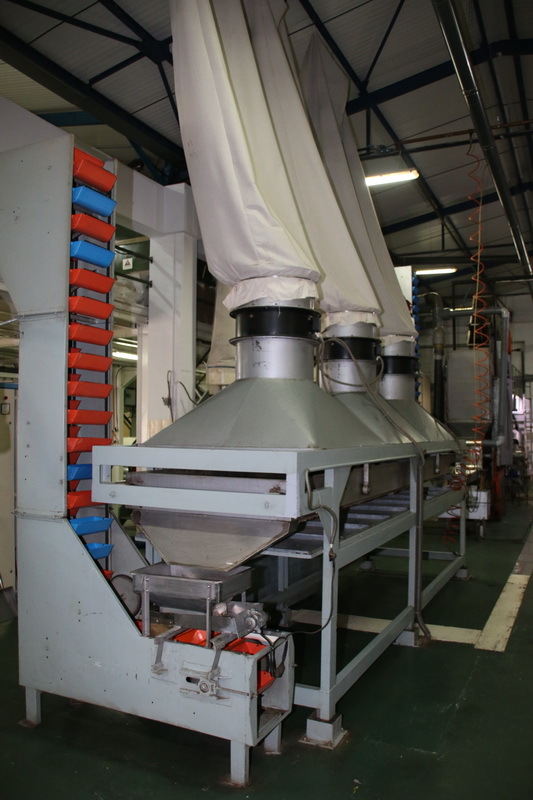 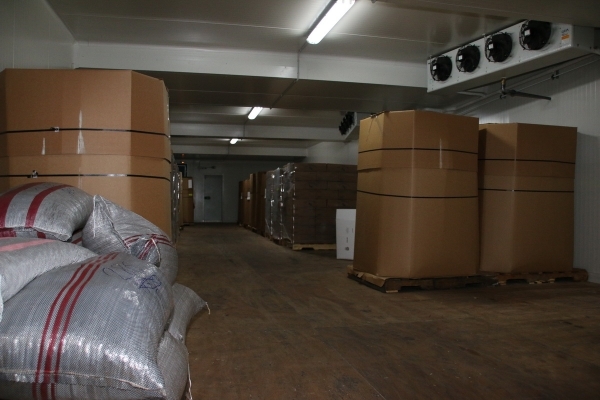 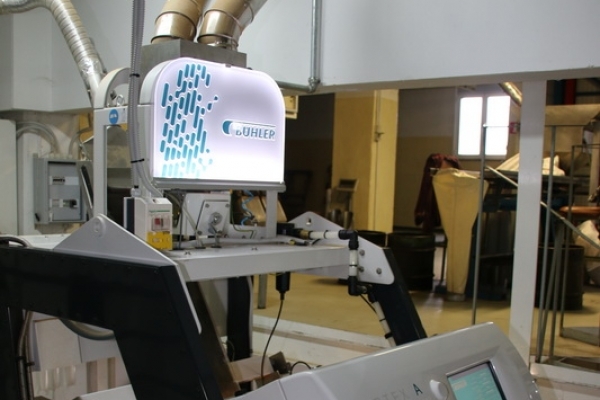 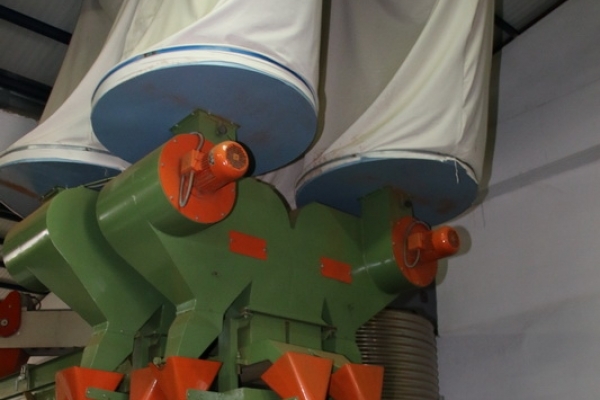 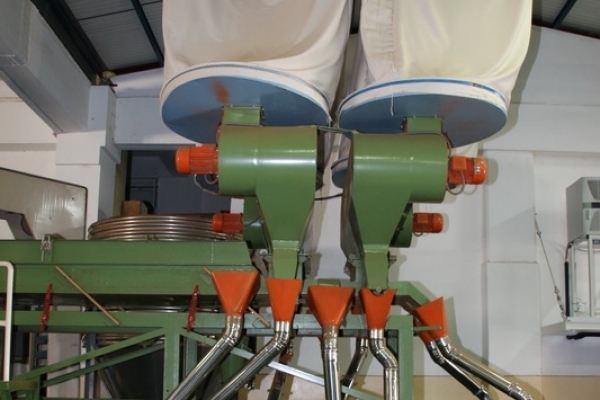 10.000Kg/8h almond breaking rate, ie production of 3,000 kg of almond seeds per eight hours. 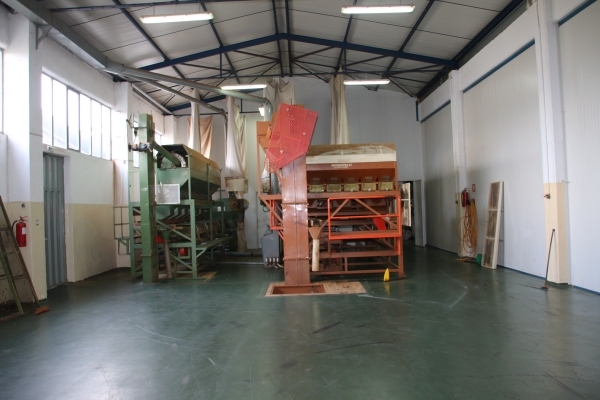 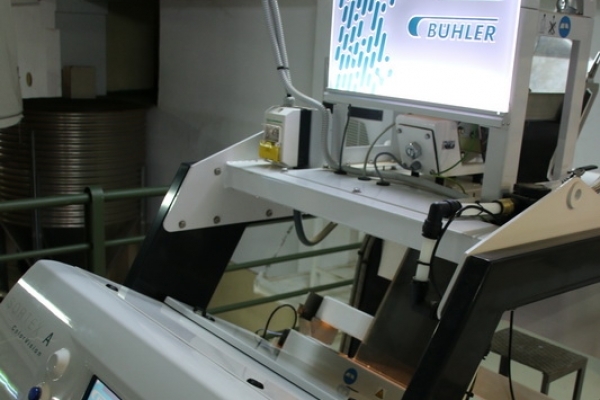 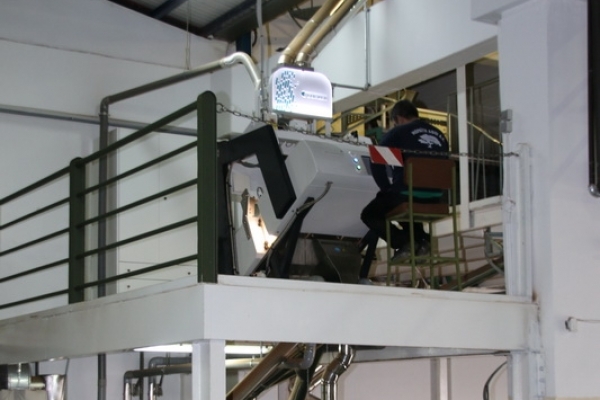 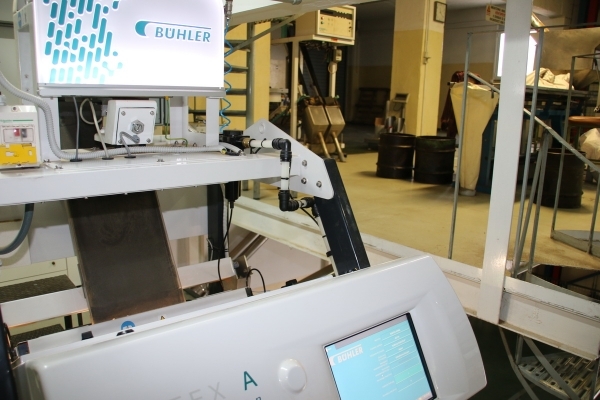 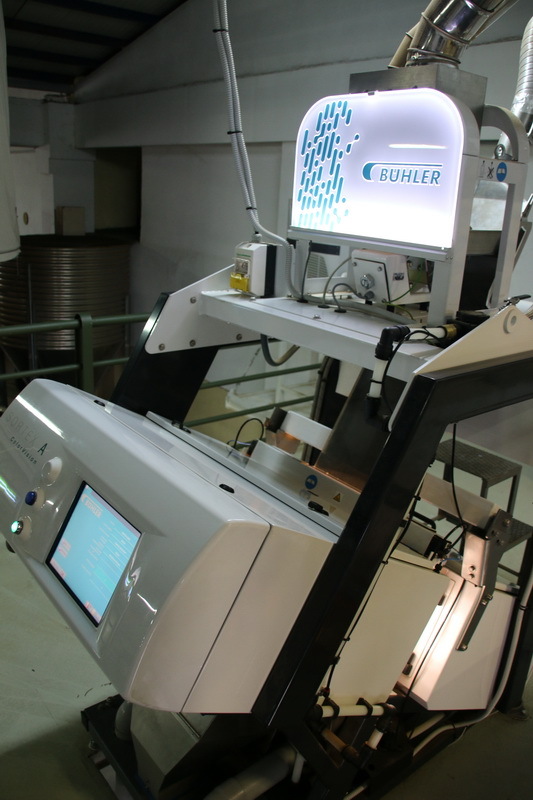 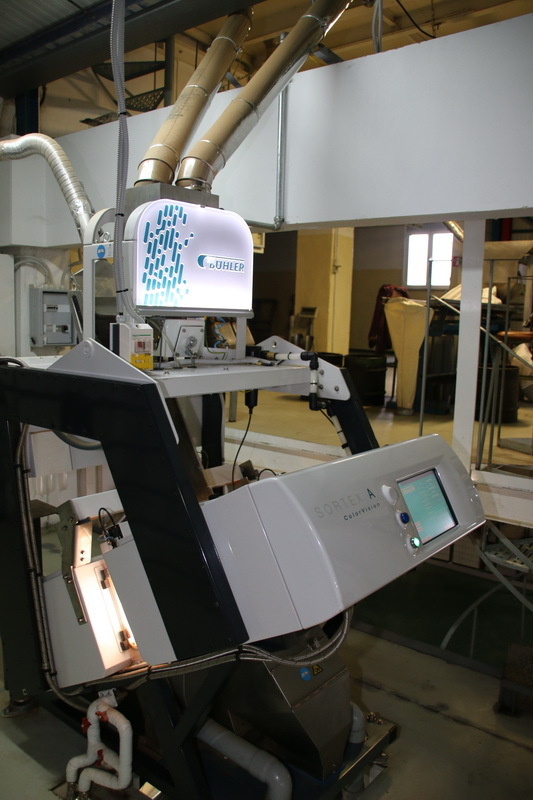 "The almond breaker machine may be calibrated to various breaking sizes for a production of 6000Kg of almond seeds per eight hours. 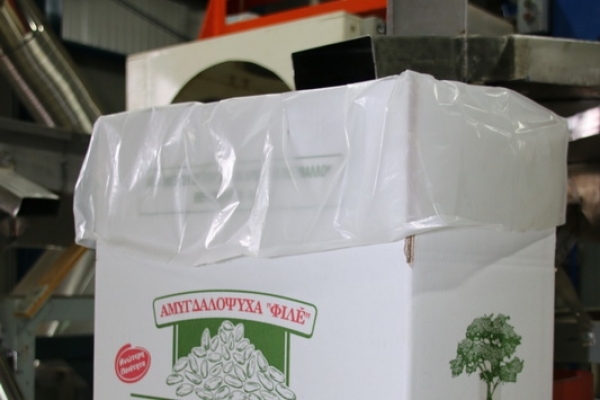 The production capacity of white almond seeds is in the order of 4.000Kg/8h. 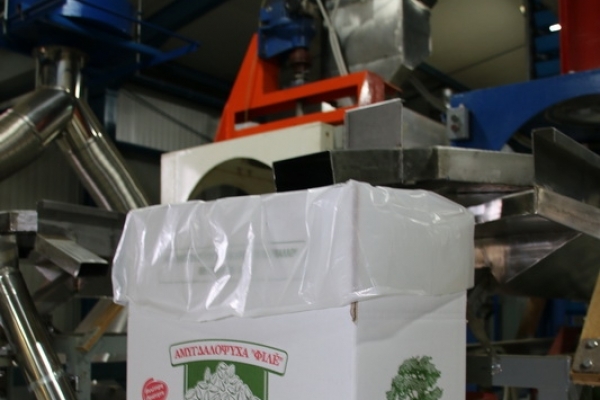 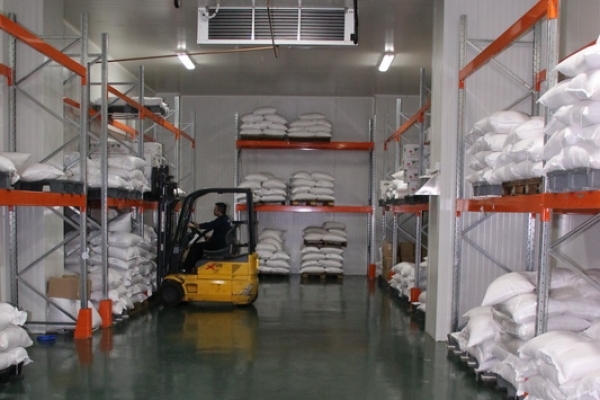 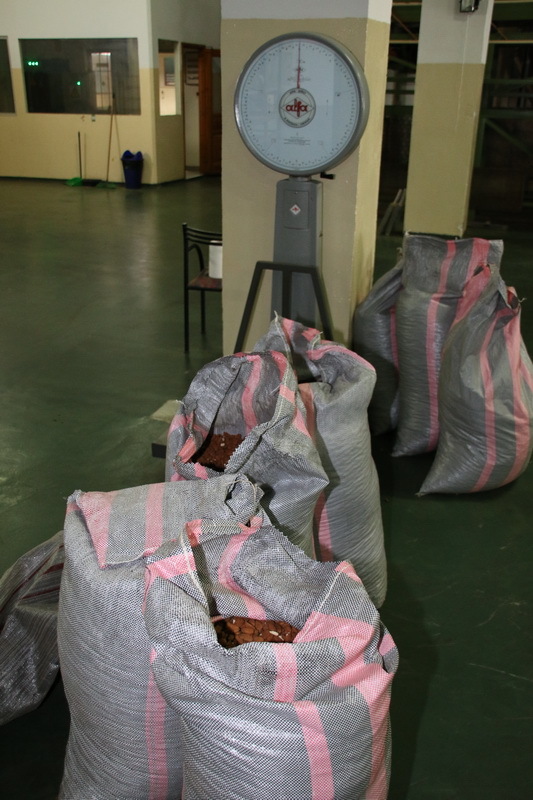 The production capacity of baked almonds is in the order of 1,000Kg/8h. 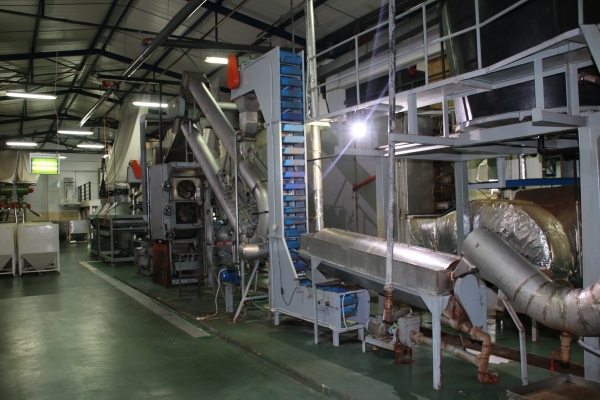 The production capacity of sliced almonds is 2,000Kg/8h. 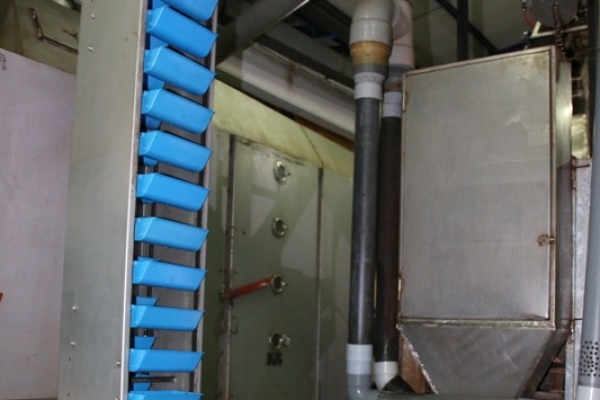 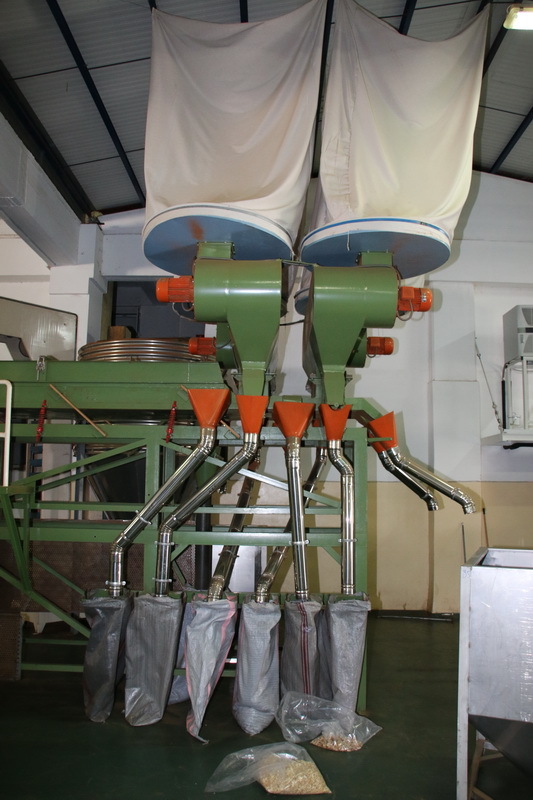 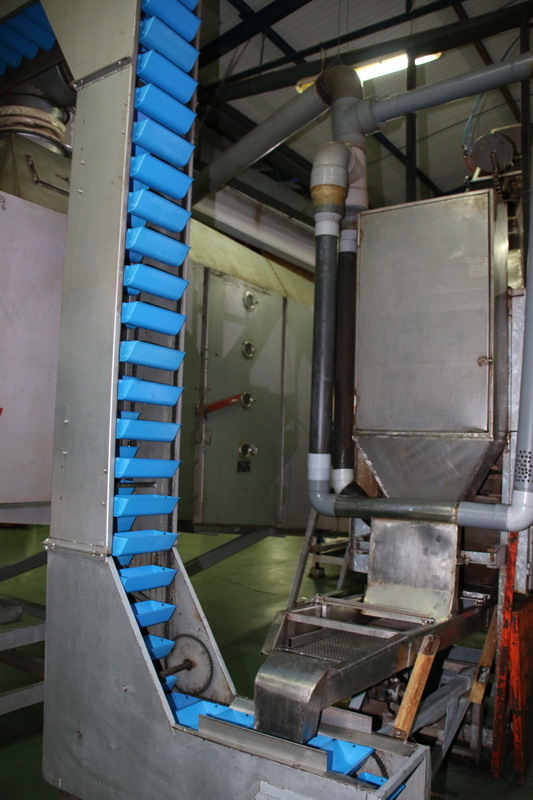 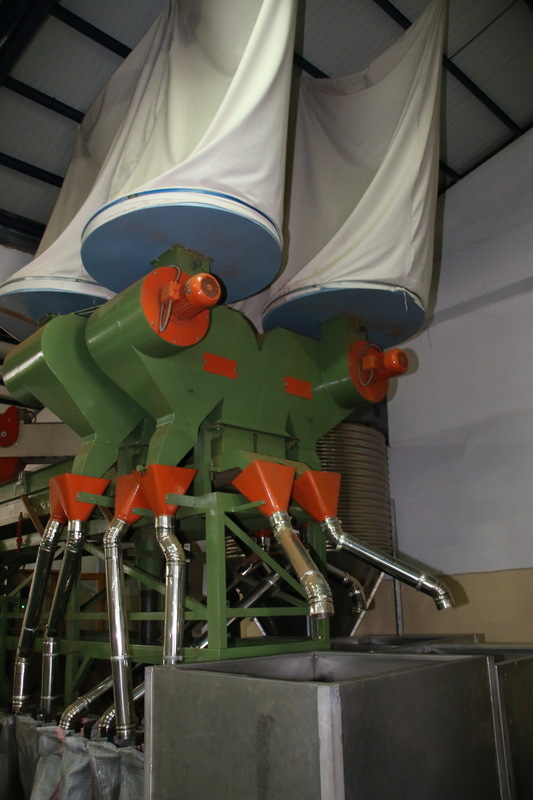 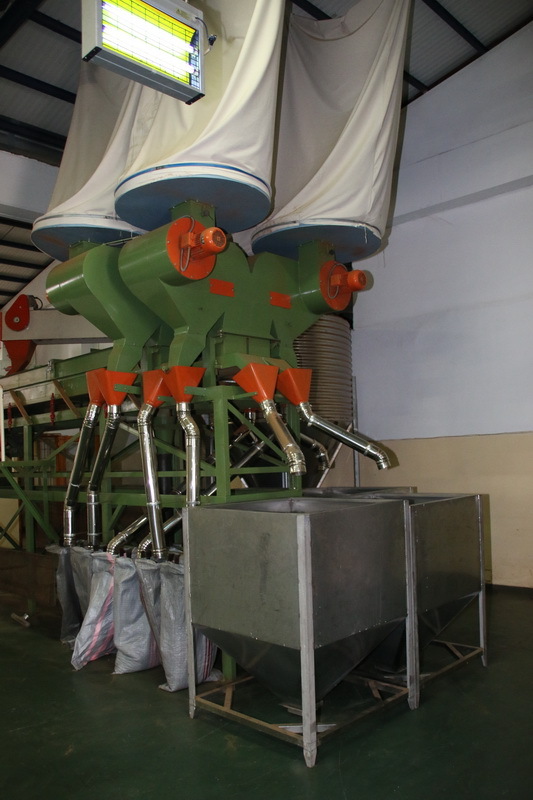 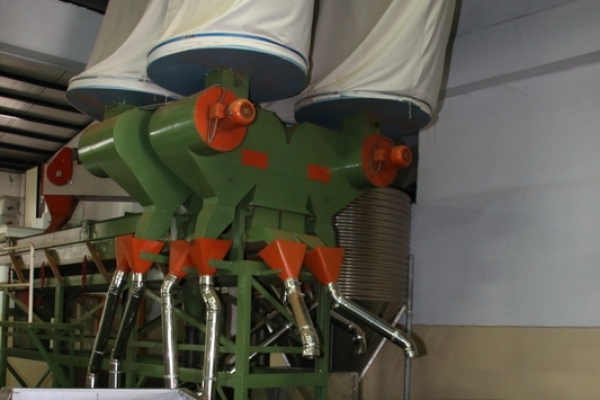 The production capacity of almond bits of various sizes is 2,000Kg/8h. 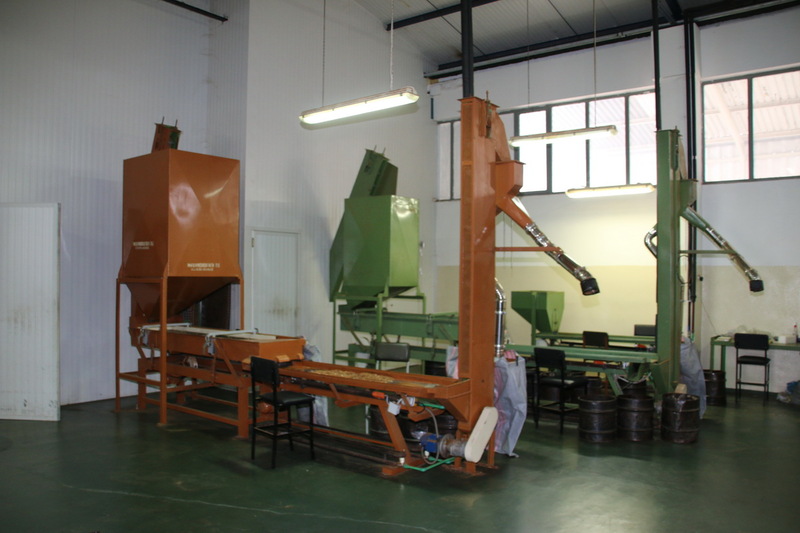 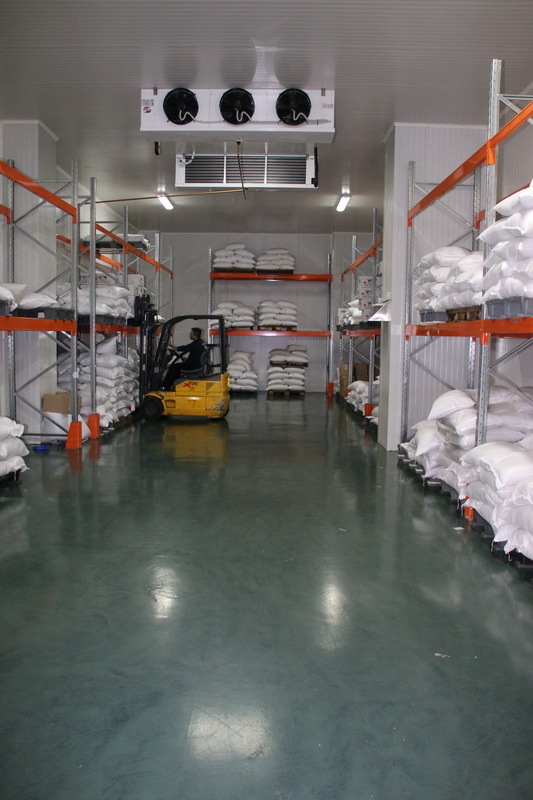 The production capacity of ground almonds is 1,000Kg/8h. 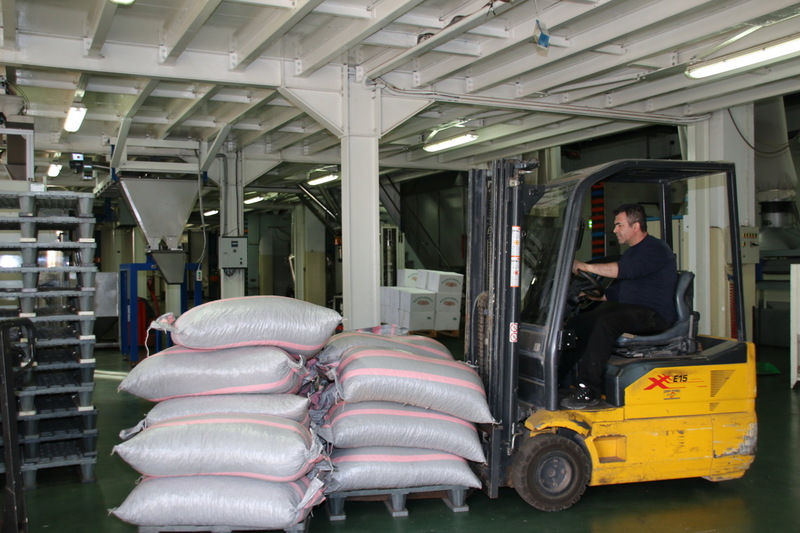 In containers of 10 kg. 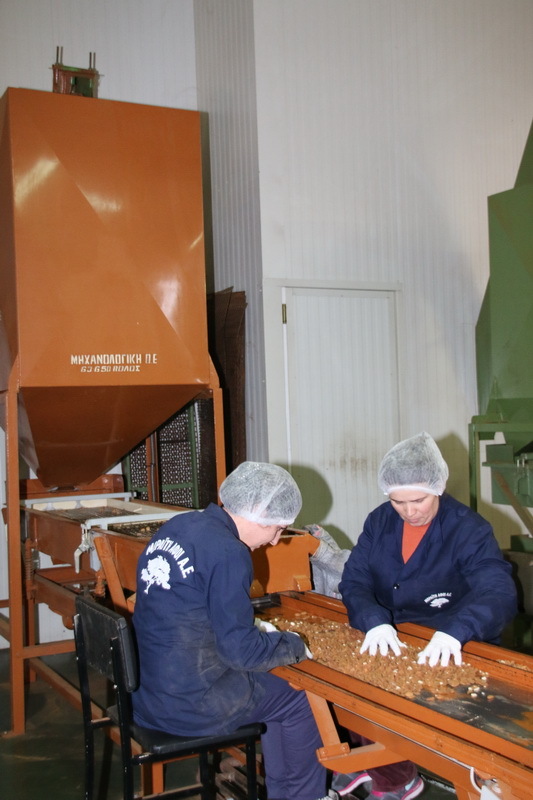 Since 1975 we bring quality in almond seeds. 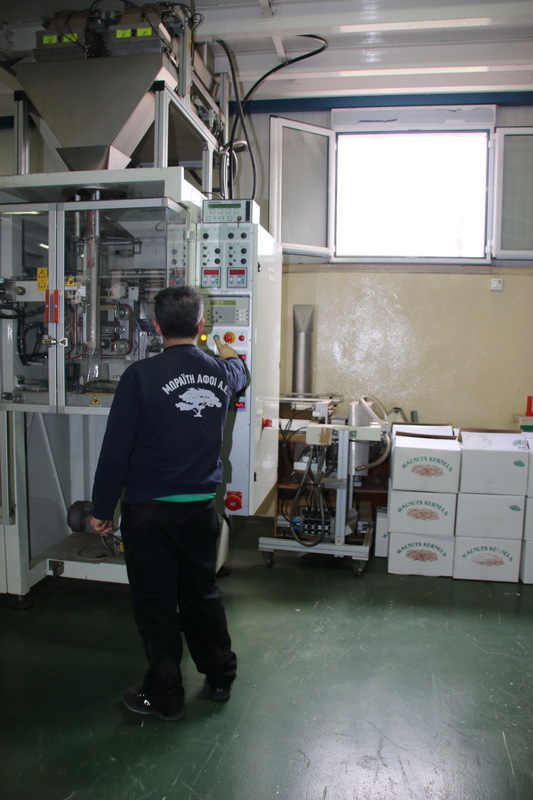 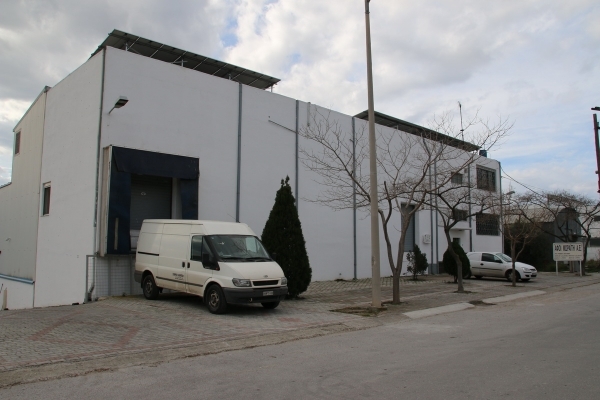 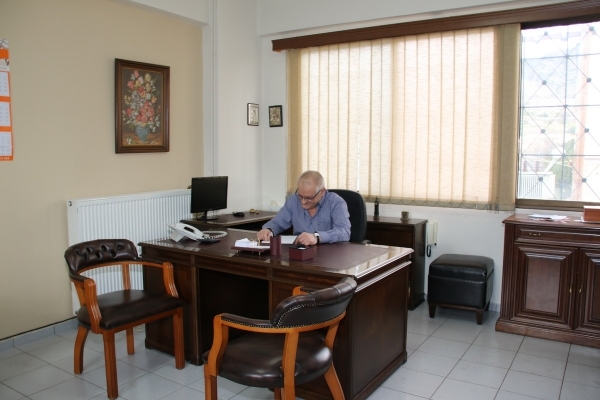 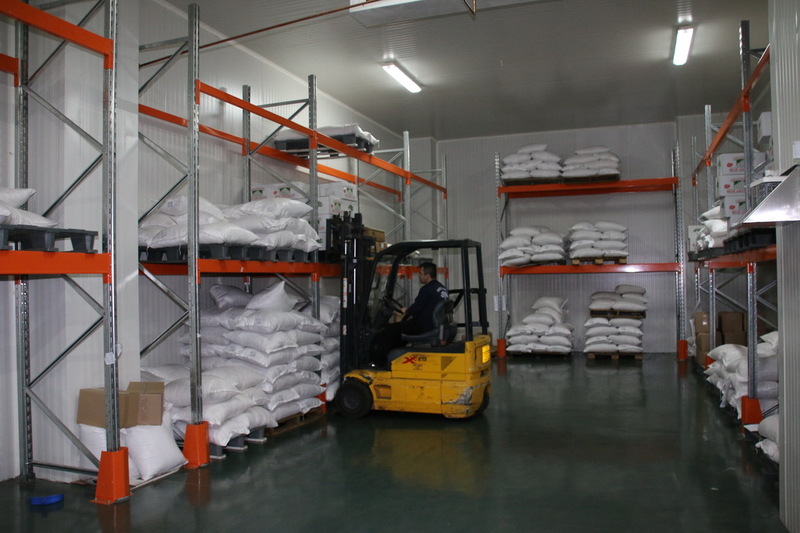 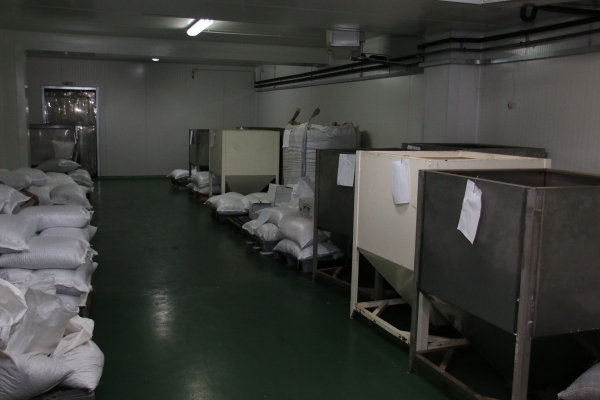 Recently the company began producing small almond seed packages of 30-200 gr. 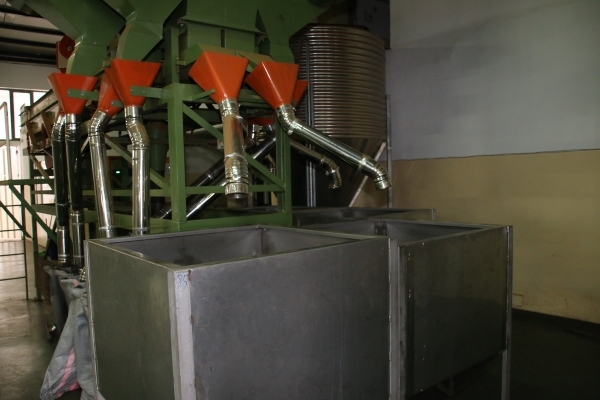 and vacuum 1-2 kg.